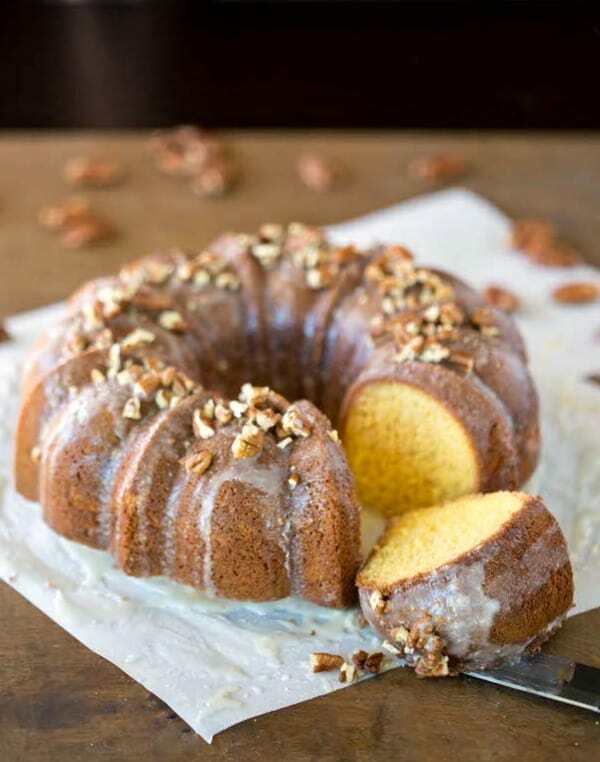 Moist and flavorful Irish Cream Bundt Cake that’s made without any alcohol. Around St. Patrick’s Day, there are all sorts of dessert recipes that pop up that call for alcohol. I have a few flavored extracts that I bake with, but it’s difficult to find much beyond rum extract. I really wanted to make an Irish Cream cake, so I had to get creative. I decided to try replacing Irish Cream liquor with Irish Cream coffee creamer. I haven’t had the real thing to compare this with, but I was very happy with the results. The cake was extremely moist, and, unlike a lot of baked goods, it tasted even better the next day. More cake recipes that start with a cake mix! 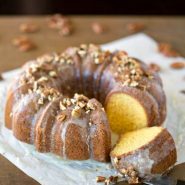 If you’ve tried this Irish Cream Bundt Cake recipe, don’t forget to rate the recipe and leave me a comment below. I love to hear from people who’ve made my recipes! You can SUBSCRIBE to receive my latest recipe newsletters or FOLLOW ME on FACEBOOK, INSTAGRAM and PINTEREST for even more delicious food. 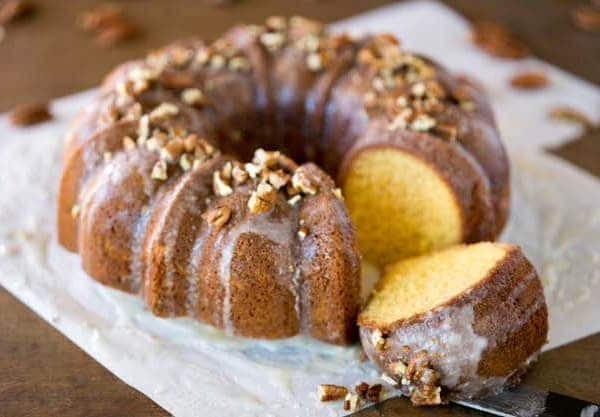 Moist and flavorful Irish Cream Bundt Cake that's made without any alcohol. Preheat oven to 325F. Grease and flour a 10-inch bundt pan. In a large bowl, combine cake and pudding mix. Add eggs, water, oil, yogurt, and creamer. Beat on low for 30 seconds until just barely combined. Turn mixer up to high and beat for 4 more minutes at high speed. If using nuts, sprinkle nuts in an even layer in the bottom of the bundt pan. Bake 60 minutes, or until a toothpick inserted in center of cake comes out clean. Cool for 10 minutes in the pan. Prepare glaze while cake is cooling in pan. Combine butter, water, and sugar in small saucepan. Bring to a boil and continue boiling for 5 minutes, stirring constantly. Remove from heat and stir in creamer. Invert cake onto a wire rack. Place a plate under the wire rack to catch the glaze as it drips off. Prick top and sides of cake. Spoon glaze over top and brush onto sides of cake. Let cake absorb glaze; repeat until all glaze is used. This cake was a big hit with my family! It was so delicious and moist. So easy to make. Don’t skip the pecans!! Thank you for such a great recipe!! I’ve been named the ‘Bundt Master’ at work and all thanks to your wonderful recipe! I made it for my co-worker’s birthday and it was a real hit. So moist and flavorful. One thing though, the instructions say to pour the batter over nuts in pan but the nuts are not in the list of ingredients. Luckily I had printed off a similar version of this recipe and it mentioned 1 cup pecans so that’s what I used. Just thought I’d mention it. Thank you so much! I’m glad that it was a hit! And thank you for letting me know that the nuts were missing. I’m not sure what happened, but I appreciate you letting me know. =) Thanks again! Can I substitute the alcoholic Baileys Irish Cream? I think so. I haven’t tried it to say for certain, but I think they’re close enough that you should be able to sub one for the other. Good luck! What kind of nuts did you sprinkle on top? The nuts are chopped pecans. This is absolutely beautiful! 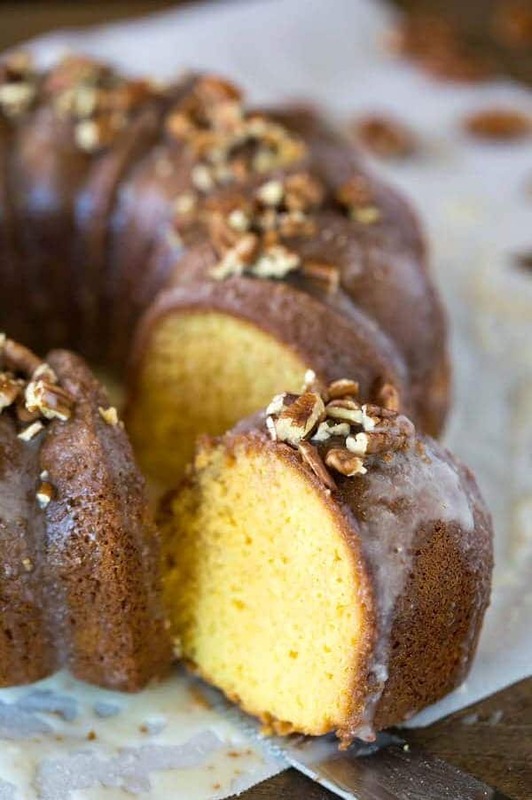 I’m always afraid bundt cakes won’t come out of the pan perfectly… this one really looks perfect.